Quonset Huts Provided Ultimate Versatility in how easy the structure was to build during the greatest wars in our history. They provided quick portability, very easy assembly and disassembly; Which still holds true of Powerbilt Quonset Hut Buildings today! 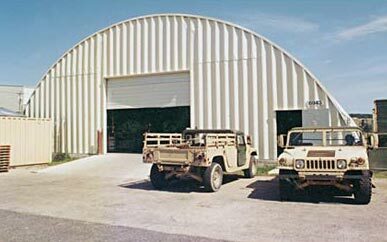 The military was also able to hide structures in hills and other outdoor surroundings in plain sight; Making the Quonset hut the most adaptable building construction on the market for over 60+ years! 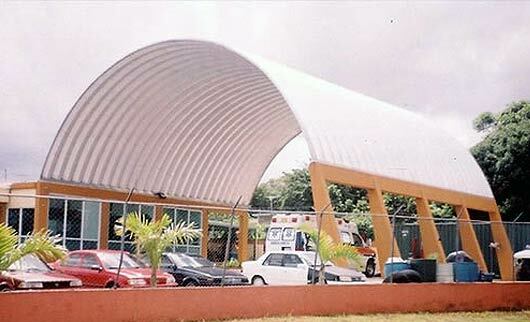 The Quonset huts today are much stronger and more versatile than the original Nissan Quonset style buildings back in the day. Improvements in the manufacturing process and the availability of the commercial market; allow these buildings to look more residential than military and last years longer than many other steel structures on the market. 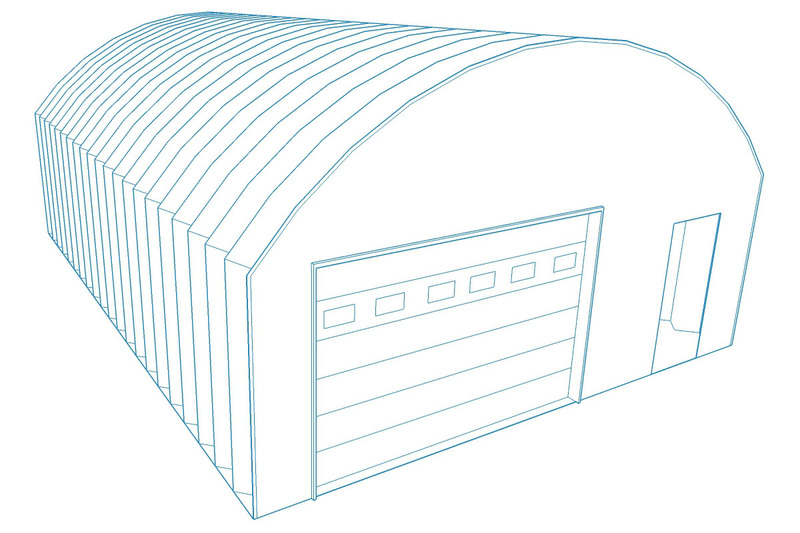 That is why many of our Quonset style buildings have a long term warranty associated with all of our buildings! Our Experts Know Everything There is To Know! Trust A Company that has over 20+ Years in the Steel Building industry and has been able to maintain an A+ Rating throughout our history. Powerbilt Metal Building Quonset Huts, Steel & Metal Building Experts will be able to fully customize your structure..We are committed to providing you the most honest estimates on the market and we will never over price you. We will even price match a competitor if at all possible! Chat – Click Live Help Button Below! Fill Out A Quick Contact Form To The Right. We are an all american U.S Based Company. We do not outsource, and use all american made steel. Help Support the U.S Workforce by buying all american buildings with Powerbilt Steel Buildings! Where Does The Building Get Its Strength From? The Arch Design is a proven design that helps support itself in even the most extreme loads. You consistently see the arch design throughout civilization such as in bridges and Quonset Hut Style Buildings. 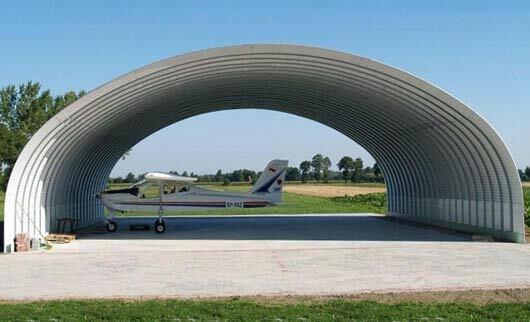 The Quonset Hut Buildings are also self supporting. This allows for a metal building to be put up extremely quickly and allows for true clear span design. The more archs you add to the structure, the stronger the entire building becomes. This also allows you to expand the building in the future by simply adding additional arches. No need to destroy the structure, simply add to it ,to expand your needs.